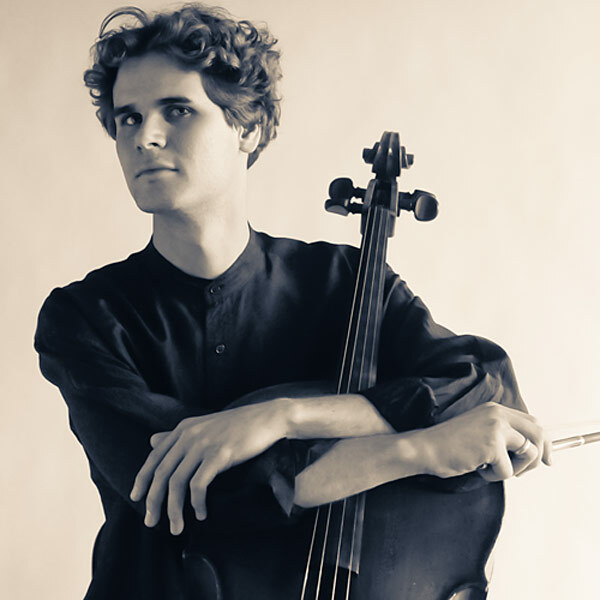 As a performer Theodore Buchholz has been lauded by newspaper critics as a “Virtuosic cellist,” an “Outstanding performer,” and a “Wonderful musician.” He has performed in prominent venues from New York’s Lincoln Center to international halls in Italy and Tokyo, and in important venues across the United States. Buchholz is the cellist of the Deco Piano Trio which holds a residency at the White Lakes Chamber Music Festival; more information on the trio is at www.decotrio.com. He toured the recently commissioned concerto The High Songs by Carter Pann, and this season will perform Brahms’s Double Concerto and Beethoven’s Triple Concerto with orchestras across the U.S.
Dr. Buchholz’s upcoming album, Afterglow, features Henry Hadley’s complete works for cello and piano, and will be released by Centaur Records in 2019. His recording of the Hans Winterberg Cello Sonata was released under the Toccata label in 2018, and he is a member of True Concord whose CD recording won a 2016 Grammy Award. Theodore served as a professional orchestral musician for ten years, and has collaborated in chamber performances with members of the world’s leading ensembles. During the summers he performs and teaches at the prestigious Killington Music Festival in Vermont. More information is at www.killingtonmusicfestival.org. He performs on an outstanding cello made in 1877 by French luthier Charles Mennégand.